Bajaj CT100 Electric Start (ES) Alloy has launched in India with bigger engine. It is fourth variant by Bajaj Auto under CT 100, the variant begun with the base of CT100 B with spoke and kick start. Secondly, they introduced CT100 Spoke and then CT100 Alloy with kick start alone. The all new Bajaj CT100 has introduced with the electric start as first in the country. While all the Bajaj showrooms are also having the new variant of Platina Comfortec. 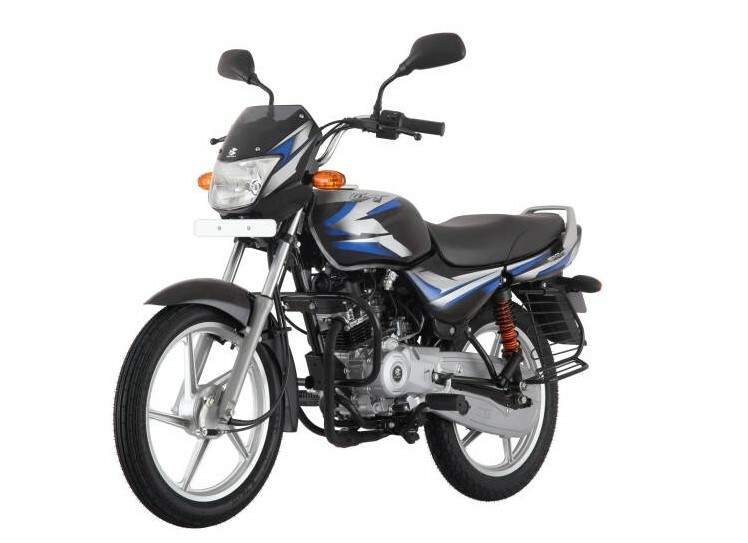 Currently, the Bajaj CT 100 Electric Start is available at all the authorized Bajaj Auto dealership in India. The bike has introduced with the ex-showroom price of Rs 38,806 in Maharashtra. And the same bike in Delhi ex-showrooms, it has the price tag of Rs 41,997. The new variant is available on two different colour options. They are – Black with silver & red decals, Black with silver & blue decals, and in Red. All new to India, CT100 ES come up with the bigger 102 cc single cylinder engine when to compare with the third variant’s 99.27 cc. The bike consist with 4-stroke engine mated to a 4-speed gearbox. Like the same on CT100 Alloy, the powerplant puts out 7.7 PS of power and 8.24 Nm of torque. Additionally, it was manufactured with a fuel gauge and flexible side indicators. Also, the allocation of seat for the rider and pillion is extra large from other three. As well as the bike had extra comfort for suspension, it had telescopic fork at the front and dual SNS (Spring In Spring) technology. So, it give more comfort while riding on rural area. The Ground clearance of is CT100 ES 169mm. It includes with the 110mm drum brakes on the both ends. The fuel tank capacity is 10.2 litres. The efficiency of fuel which claimed 90kmpl and the top speed of the bike is 90kmph. So, the Bajaj CT100 ES Alloy consisted with maximum of feature and spotted at the top position under CT100. While, the company launched two variants under the same product range in this year.